Move in Ready Condo at Canyon View at Ventana! Resort style living in desirable Canyon View at Ventana Condominiums located in the heart of Ventana Canyon. This fantastic location is minutes to Sabino Canyon Recreation center, shopping, restaurants, art galleries and hiking, biking and golf are all nearby. This second story condo has never been rented and has been gently used by its current owner. The split bedroom plan features two bedrooms and two baths with 18" neutral tile floors throughout the unit. Some windows have been replaced with low e double pane windows and solar screens and the electric heat pump was replaced in 2013. The kitchen comes complete with all appliances and has light maple cabinets accented by neutral tile counter tops. A view from the kitchen window catches the city light views to the south. A wood burning fireplace in the great room will be enjoyed on cool dessert evenings and the wall of windows brings in plenty of natural light. 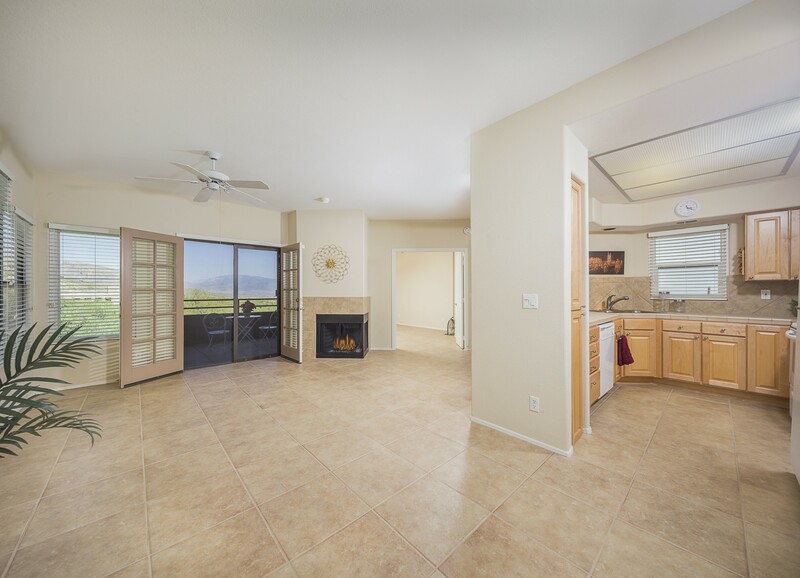 Step out to the covered patio from the great room or master bedroom to enjoy Santa Catalina mountain views and sunrise and city light views to the east. HOA includes common area maintenance, exterior building maintenance and insurance, exterior termite, trash, two clubhouses, two heated pools, two spas, exercise facility, business center and lighted tennis courts. Rentals are allowed in the community so consider using as a VRBO or AirBnB or enjoy the good life yourself all year long! Call for a personal tour!